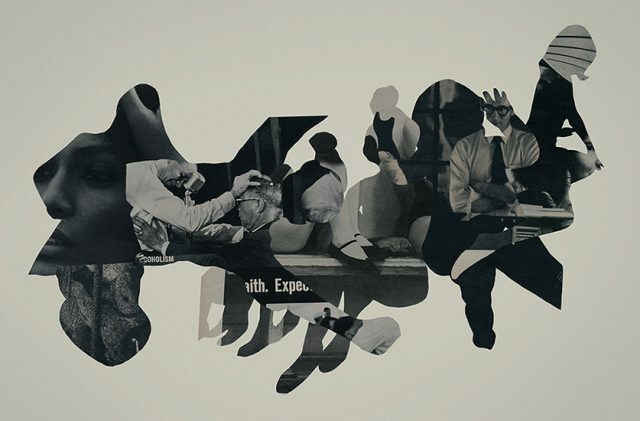 metamorphosis is a piece of cut paper collage art using images found in vintage magazines and other ephemera that are then dry adhered to paper with a gel medium The original image is roughly 17 and a half inches wide by 17 inches tall (not including matte and frame) and was completed in February 2018. Prints and other products are available through society6 and saatchi. Inquiries about the purchase of the original piece should be sent directly to mightyjoecastro@gmail.com. And, if you haven’t done so already, please take a moment to follow Mighty Joe Castro on instagram and twitter. Stay tuned for updates on new music and upcoming live shows as well. Thank you for your support! 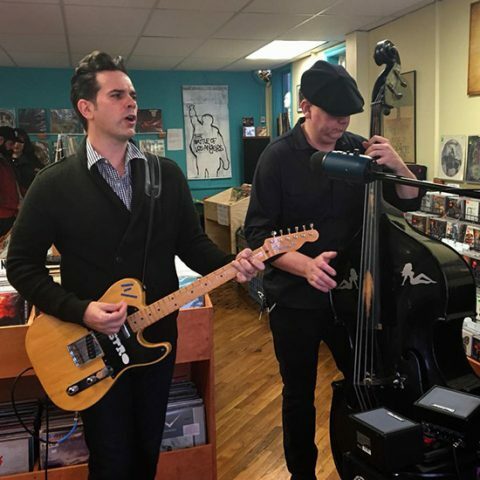 This past December, h00v3r (upright bass) and I were invited to perform a few songs at my favorite record store, Matones Music in Collegeville, PA, to be filmed for their ongoing Shop Sessions web series. They posted the fruits of our labor earlier today – take a look. Special thanks to Nathan Allebach for filming and to Adam Matone for having us. And be sure to catch Mighty Joe Castro and the Gravamen’s debut performance show Saturday February 3 at 1984 in Wilmington, DE with Phil Young and Bos Tauras. We’ll also be playing at Century in the Greys Ferry area of Philadelphia on Friday February 23 with Boog, the little wretches, easy bake oven, ex > tension and echo lightwave unspeakable. Both shows will feature the full 4 piece band lineup. Doghouse bass, heavy reverb, a little bad juju and some good times. 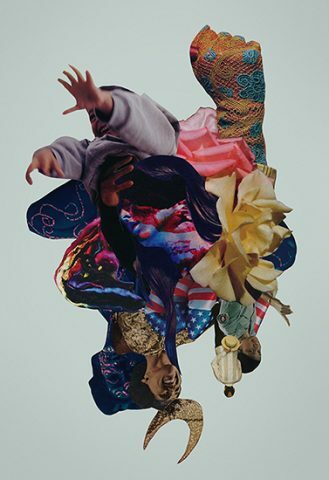 Swarm is a piece of cut paper collage art using images found in vintage magazines and other ephemera that are then dry adhered to paper with a gel medium and augmented with gouache. The original image is roughly 16 inches wide by 20 inches tall (not including matte and frame) and was completed in January 2018. Post #1269 – Happy New Year 2018! Happy New Year friends and thank you, sincerely, for all your support. I hope your 2018 is filled with much love and good health! 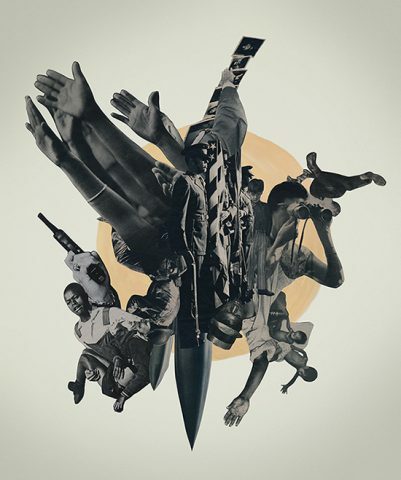 Black Powder is a piece of cut paper collage art using images found in vintage magazines and other ephemera that are then dry adhered to paper with a gel medium and augmented with gouache. The original image is roughly 27 inches wide by 32 inches tall (not including matte and frame) and was completed in December 2017. I’m fairly sure this is the largest collage I have done to date. I’m definitely like the impact of the larger size and hope to create some larger pieces moving forward. 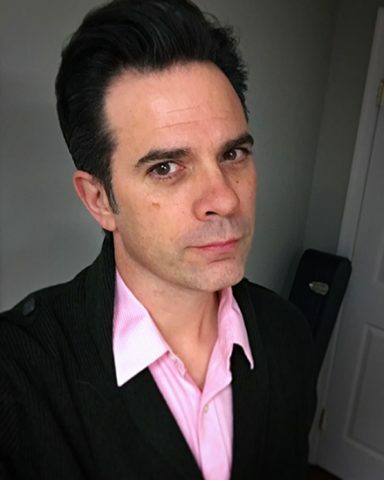 A few weeks ago, I was gutted to hear the news that Nick Rotundo, a long time presence on the Newark, Delaware music scene, suffered a brain aneurysm, and was equally saddened to learn he passed away this past Friday. I had the pleasure of recording with Nick at Clay Creek Studios in the early 90s when I was in Obese Pharaohs of Funk / Nero. In total, we did three 7 inch singles, a full length album and a handful of tracks for various compilations together. Another good man gone much too soon. The first time we worked together, we were both just starting out – O.P.F. 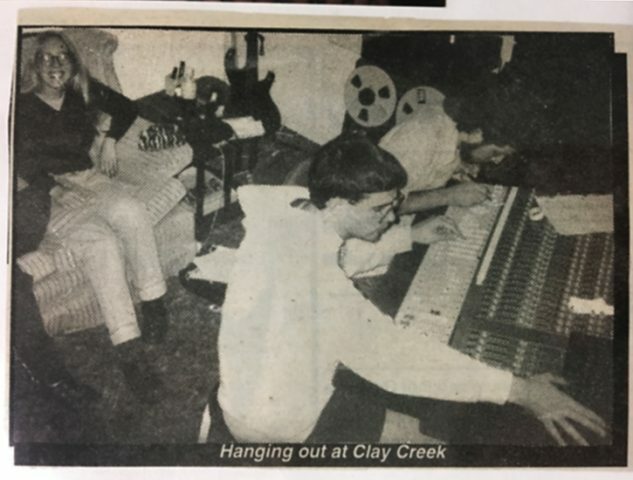 was less than a year old and Nick was just beginning to record local bands with his mobile 8 track reel to reel tape machine (the first sessions were done in our bass player’s basement.) To be completely honest, even though we’re roughly the same age, I was a bit intimidated the first time I met him. Nick had a few years of band experience already under his belt and I was a huge fan of his band Walleye. I loved his stage presence and the way he would intensely rock back and forth in his corner of the stage. So I first approached the guy with the shy timid manner of a fan, but he, in turn, greeted me warmly as a friend. As time went on, I feel like our growth was somewhat simultaneous – every time we came back to record, the band was a little better but Nick was a lot better, growing his studio from the basement of his dad’s town home into the larger space off Wilbur Street. I took every opportunity I could to hang out behind the board with Nick, even inviting myself to sessions with schroeder and the Joy Poppers just to soak up some studio experience and to watch the magic happen. Whenever I think of recording with Nick, I always come back to a memory of us dragging this 100+ foot mic cable out into the middle of a still August night so he could indulge my mild Buddy Holly obsession by recording the sounds of crickets for a track on the last Nero 7″. Salad days for sure. I’ll miss the enthusiastic way he would draw out the word “Yeeesssss” when discussing some random piece of music or deciding on what to grab for lunch that day. He was the real deal – talented but humble, supportive and devoid of pretension. He had an absurd sense of humor and a great set of ears. And he was always up for experimenting in the studio. As I slowly moved away from Delaware, we kept loosely in touch, usually running into each other randomly at some gas station or something and each time we did, it was like no time had passed. When he moved into my old spot at First World Recording Studio behind Finley’s Art Shoppe, I always made a point to drop in and catch up. These little fragments of memories are such a heavy part of my early twenties and I am really glad I had the opportunity to work with Nick. Thank you for all you did to help me along in my creative journey. I’m glad our paths crossed. Safe travels my friend. Spirit Animals is a piece of cut paper collage art using images found in vintage magazines and other ephemera that are then dry adhered to paper with a gel medium. The original image is roughly 25 inches wide by 15 inches tall (not including matte and frame) and was completed in November 2017. Prints and other products are available through society6. Inquiries about the purchase of the original piece should be sent directly to mightyjoecastro@gmail.com. 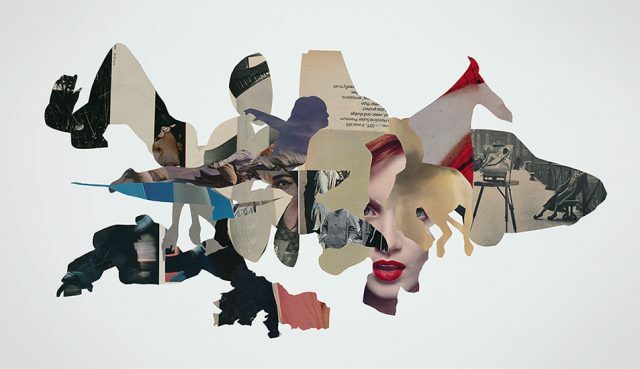 States of Division is a cut paper collage using images found in vintage magazines and other ephemera that are then dry adhered to paper with a gel medium. The original image is roughly 21 inches wide by 14 inches tall (not including matte and frame) and was completed in October 2017. 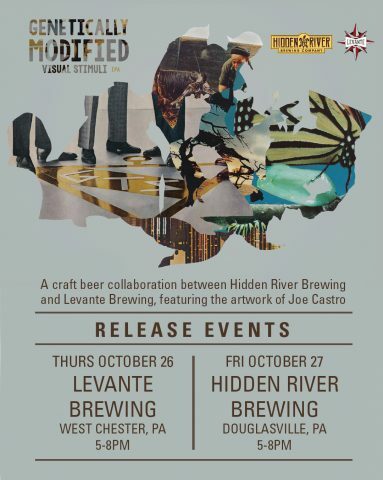 My good friends over at Hidden River Brewing recently got together with Levante Brewing in West Chester to collaborate on a very special IPA. After some discussion, they approached me about naming the beer after my collage Genetically Modified Visual Stimuli, as well as featuring my artwork on the can. Personally, I love the idea of two competing small business joining forces for something like this and I am honored to be a small part of it. And Hidden River generally pulls their ingredients from within a 15 mile radius of their brewery, which is a company practice I can totally get behind. To celebrate the collab, there will be 2 beer release events – the first at Levante Brewing in West Chester, PA on Thursday October 26 from 5-10 pm. The next event will be the following night, Friday October 27 at Hidden River Brewery at the Brinton Lodge in Douglasville, PA. I’ll be in attendance at both events so please drop on by if you are in the area. This release is extremely limited – once they’re gone, they’re gone – so do yourself a favor and grab a six pack! A few weeks ago, my friend Eneida Cardona reached out and asked if I would help her create an online shop that would sell art/prints to raise money for the people of Puerto Rico who have been affected by the recent hurricanes. Although currently living in the Bronx, Eneida still has family on the island and, as we struggled to watch the continued news coverage, we discussed our shared feeling of helplessness as well as our continued frustration with the current political bickering. So, in a small effort of action, we gathered up a handful of artists and created the website, Artists for Puerto Rico. We offer prints and artwork for sale with 100% of all profits going directly to United for Puetro Rico. 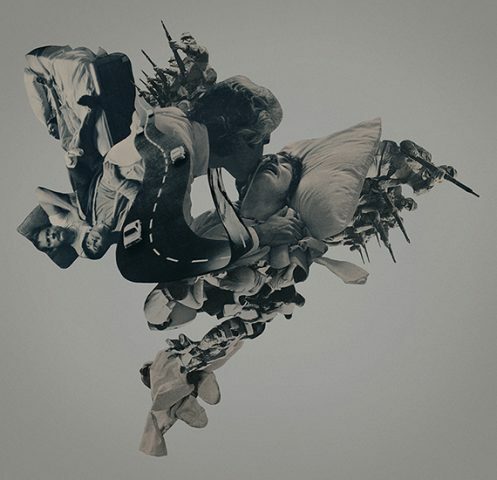 I created this collage especially for the site, which I titled El espíritu es más fuerte que cualquier tormenta. The prints are 18 inches by 24 inches and cost $75 plus shipping. Please consider purchasing one or just make a donation. 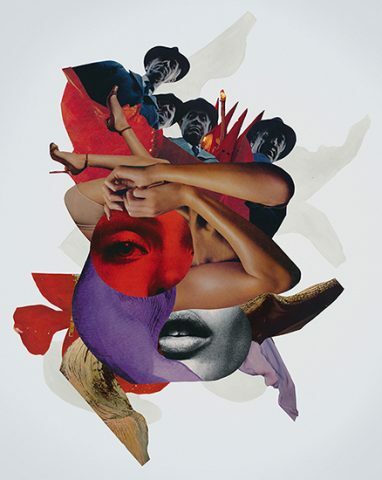 El espíritu es más fuerte que cualquier tormenta is a cut paper collage using images found in vintage magazines and other ephemera that are then dry adhered to paper with a gel medium. The original image is roughly 12 inches wide by 18 inches tall (not including matte and frame) and was completed in October 2017.